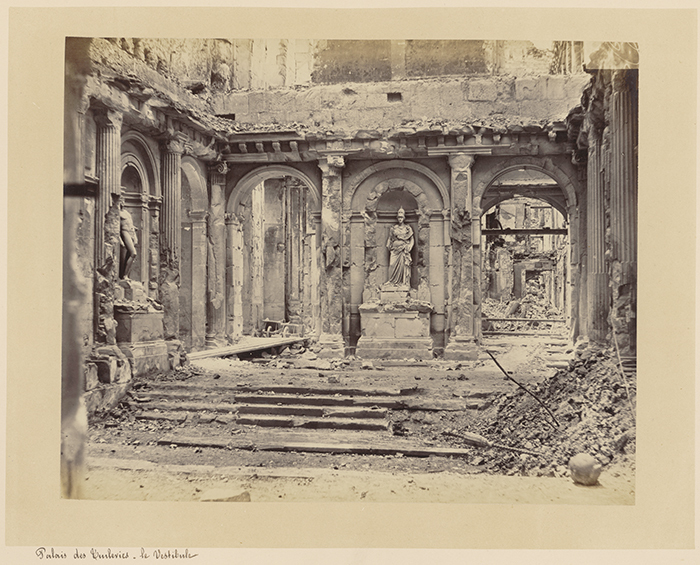 The Charles Deering McCormick of Special Collections contains a collection of about 8,000 items relating to the Siege and Commune of Paris of 1870-1871. This collection is the largest held on this subject in the United States, and one of the largest in the world. This diverse and visually exciting array includes original photographs, caricatures, posters, etchings, lithographs, books, newspapers, manuscripts and realia created during and in reaction to l'année terrible: the epoch-changing year that witnessed France's defeat in the Franco-Prussian War, the downfall of the Second Empire, the hardship and suffering of the four-month siege of Paris, and the bloody civil war that snuffed out the Commune uprising. The nucleus of the collection was acquired in 1971, the centenary year of end of the Commune, when astute Northwestern University librarians purchased almost en bloc the catalogue offerings of a prominent French book dealer. Since that time it has been augmented by many successive acquisitions. Along with the American Civil War and the Crimean War, the Franco-Prussian War was one of the first to be documented photographically. Photographs of the war and of the ruined Paris landscape it and the struggle with the Communards caused abound, as well as some of the earliest examples of manipulated fake photographs created for propaganda purposes. Some of the collection's photographs and caricatures appear in one of the Libraries' earliest digitized collections. Plans are underway to update and expand this website to include both new acquisitions and to replace the old digital images with new high resolution versions.